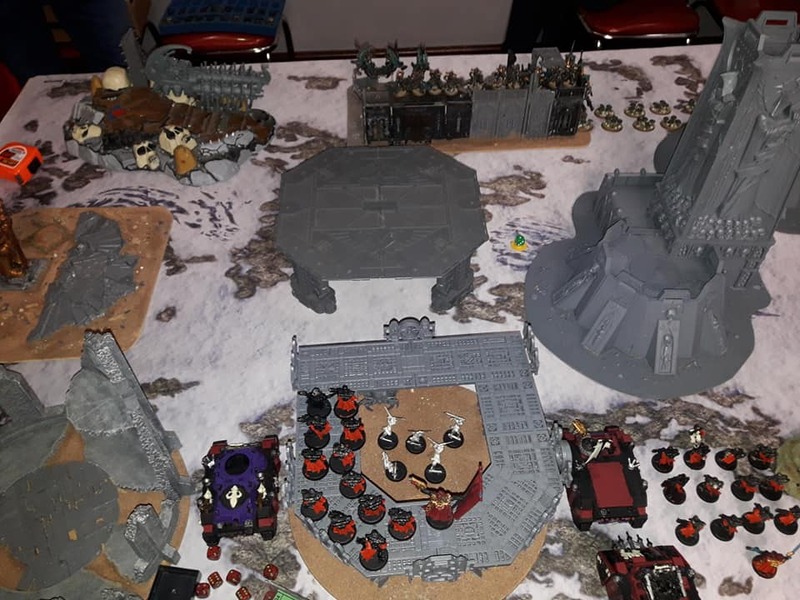 After my short break away from 40K I fancied a game against my chum Jon. Originally we were going to be playing 1000 points but after that game was postponed I had the idea of making 1500 points and trying something special - I borrowed my newphew's collection of Sisters of Battle. I knew that I was not going to win against Necrons but I would have fun and perhaps playing a different army than my regular Death Guard would be a nice change of pace. 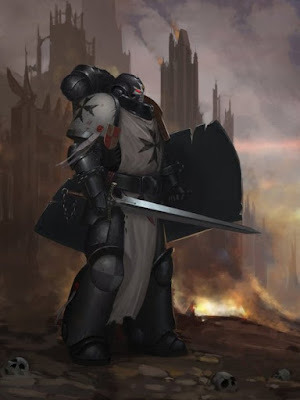 On the night we rolled up the Relic mission along with the standard Dawn of War deployment. I don't think rocking up with a Sisters army was quite the surprise I was hoping it would be but I think we both knew it would be an interesting fight. What surprised me was Jon's list. It was nearly all destroyers and tomb blade's where I was expecting a lot of necron warriors - a traditional necron army. Okay, I thought, going to be tough but I can do this. Due to terrain and the position of the Relic I was set up on the left hand side of the table. I won the roll off but Jon stole the intitive, an act of random luck which would seal my fate this game. 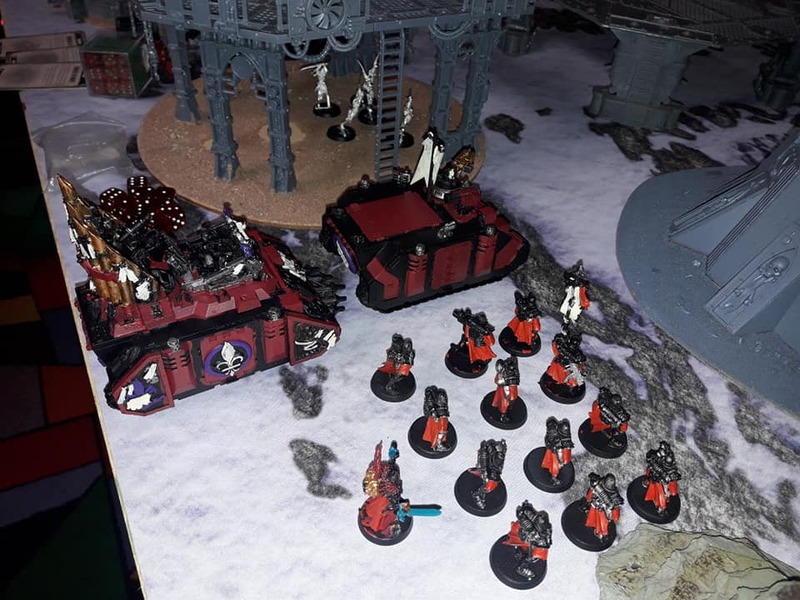 First turn and his necron forces destroyed both exorcist tanks, one squad of death cult assassins and half a squad of battle sisters. I suppose I should have thought about protecting them better but I really needed those exorcist tanks. Jon was also able to swiftly grab the Relic. In my turn I think I moved up but did nothing in the shooting phase other than knock a wound off of something. This was going to be the way of game went. As the game progressed I tried to advance forward as for some reason Jon was moving the destroyer unit holding the Relic towards my lines. Again though Jon's necrons, especially the tomb blades, were tearing their way my lines with their shooting. Two rhino's went down along with a couple Sisters from each. 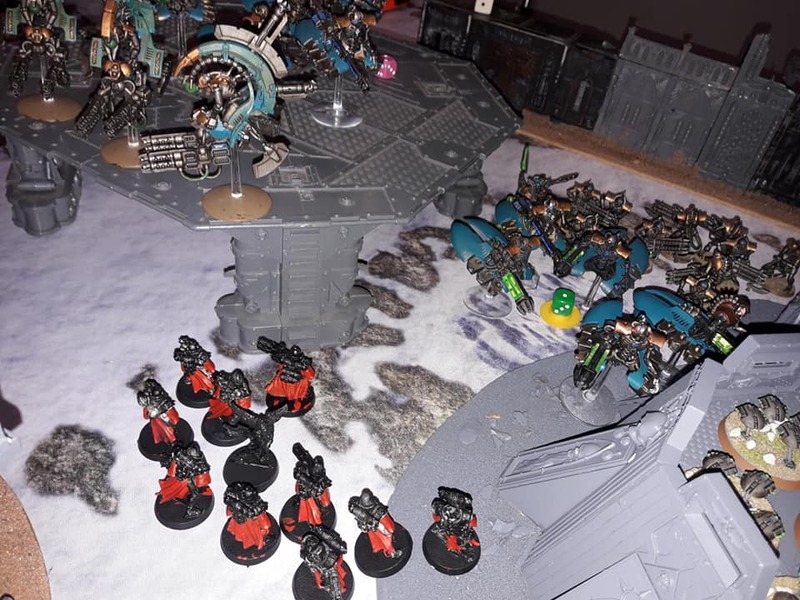 I dropped Celestine behind the necron lines and a unit of seraphim to my right to try and deal with the tomb blades creeping forwards. Celestine and her friends were dropped with one round of shooting from immortals, and she had to pop up out of sight on the other side of terrain. The seraphim were gunned down and did nothing all game. Turn four and all I had left was Celestine. She got one of her friends back, charged into the destroyers holding the Relic and died after dropping three of them. Game ended with myself being tabled. I enjoyed the game although I made a couple mistakes but I blame them on my being out of 40K for a while. I think Jon admitted a mistake but it was all fair in a good casual game. I have been pondering whether to play Adeptas Sorioritas next year when they come out in plastic but they would need a severe boost over the Index. 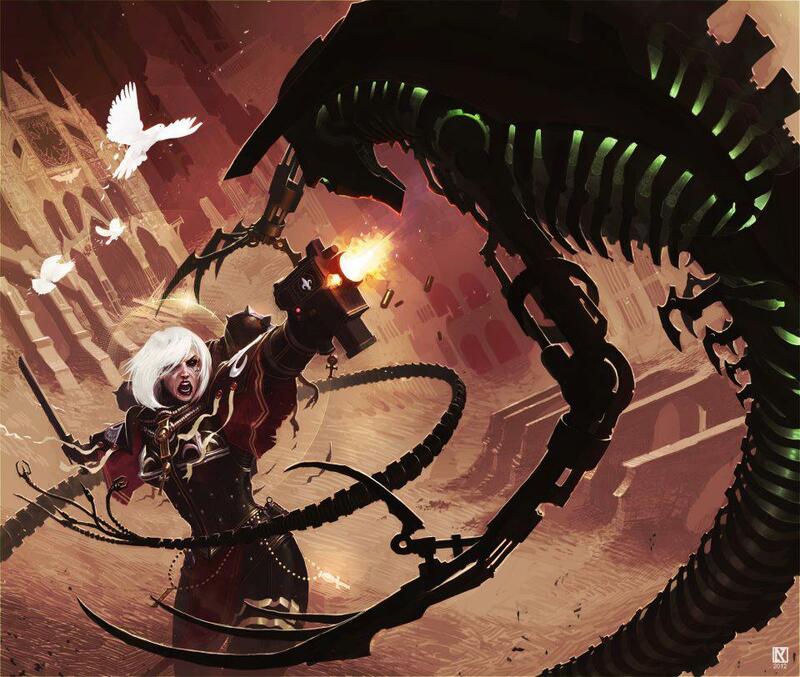 The Index list did nothing for me really but against a full on codex army, I don't think I had much of a chance. Very good fun game though. A clash of arms in the center of the table. The Sisters of Battle march to war! Worlds of the Narrative: Svartos.